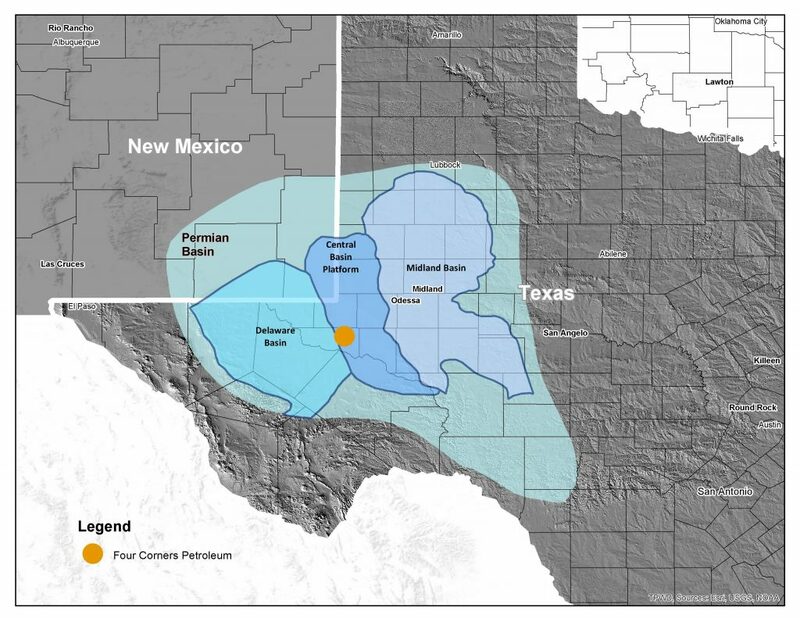 FCP’s operations are focused in the Central Basin Platform of the Permian Basin in Ward and Winkler Counties, Texas. • The mature North Ward Estes Field has been producing since 1929 and spans over a 100 square mile area. • Approximately 64,000 contiguous acres in Ward and Winkler Counties. • Utilizing modern technology with secondary recovery techniques to maximize reserve recovery. • Owned and operated CO2 plant for enhanced oil recovery. • Large contiguous surface acreage position consisting of approximately 14,000 acres.